Setting up home is never easy, so what better way to hit the ground running than with this brilliant Starter Furniture Set. A comprehensive thirty two piece set which includes sixteen pieces of furniture, as well as sixteen essential accessories, including duvet covers, seat cushions and crockery, all perfectly sized to fit all of Le Toy Van's dolls houses, it's a set that's sure to make any house a home! 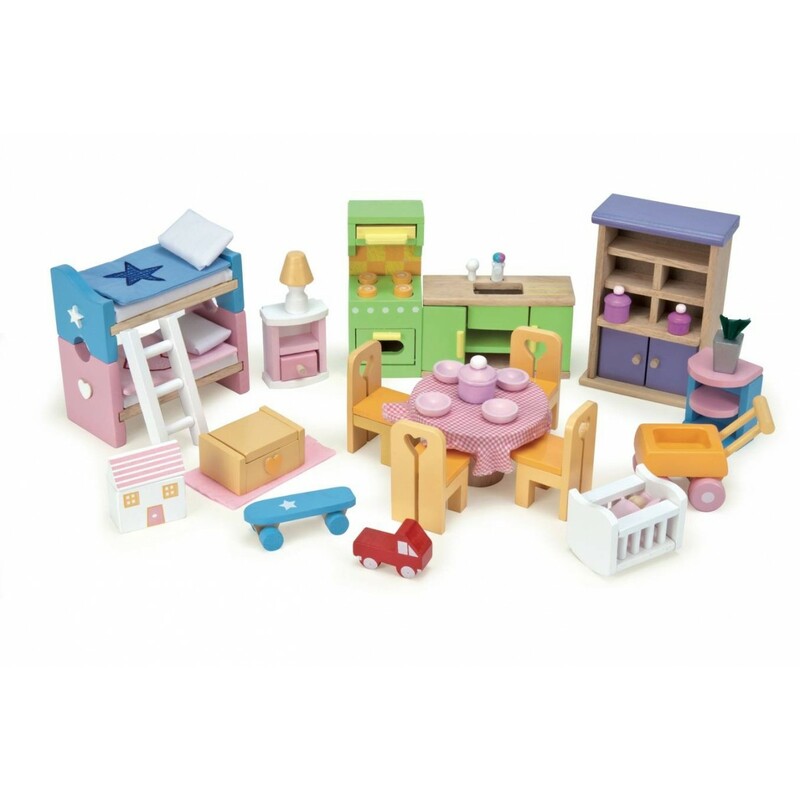 This a great way to get your little one's dolls house furnished in style - there are pieces in the set to furnish even the most lavish of houses. There's lots in the box, including some really fun and quirky little accessories that little hands are sure to love. The furniture works perfectly in all Le Toy Van's dolls houses, so your children can mix and match, or even do some furniture swapping! 32 piece starter furniture set which includes 16 furniture items and 16 little accessories. Scaled to all of LE TOY VAN doll's houses.